There are various types of whodunits or crime novels including detective stories, cozy mysteries, suspense novels, and thrillers, each with its own format. Even though most subject indices list them together as “Mystery and Detective Stories” or just “Mysteries,” a lover of thrillers may become bored by a cozy. Readers of cozy whodunits, on the other hand, might dismiss a suspense novel or thriller as unlikely, melodramatic, and plot-driven to the extent that characters are underdeveloped. The amateur sleuth in a cozy mystery follows clues to solve a murder or other dastardly crime without the depiction of graphic violence or profanity. The protagonists’ careers, hobbies, villages, or neighborhoods are important elements in the stories and may change along with the main characters as the series evolve. Diane Mott Davidson’s sleuth is a caterer in a small town where the reader learns to know the town and its inhabitants while Goldie solves mysteries there. In the detective whodunit, the professional sleuth follows the clues in a grittier story that may include graphic content and crude language used by both the bad guys and the detectives in the midst of criminal activity. In a good one, the reader learns about the detective’s personal life and can see, hear, feel, and smell the locale. Tony Hillerman’s landscapes and policemen are what I remember more than the crime and detection in his Navajo police mystery novels. We learn about the personal life of Sue Grafton’s P.I., Kinsey Millhone, and accompany her from Sneaky Pete’s diner to her apartment to the scenes of her investigations as we get to know her and her town. 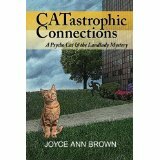 Cozies and detective mysteries are whodunits. 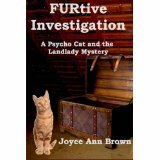 The crime is committed, but who did it remains the mystery for the sleuth to solve. The sleuth isn’t necessarily in danger, but twists and turns in the plot and subplots suggest danger and intrigue. In a suspense mystery, the protagonist must escape ever-present danger, and the reader may learn to know the evil antagonist. Alfred Hitchcock’s suspense movies keep us on the edge of our seats as we empathize with the intended victims. A thriller takes the suspense to the next level as our hero strives to save the world, or part of the world, from ultimate destruction. Clive Cussler’s Dirk Pit follows the evil destroyers around the world with many side tracks and dangerous encounters before he destroys the destroyers. Since I started writing my whodunits, I see mysteries everywhere I go. 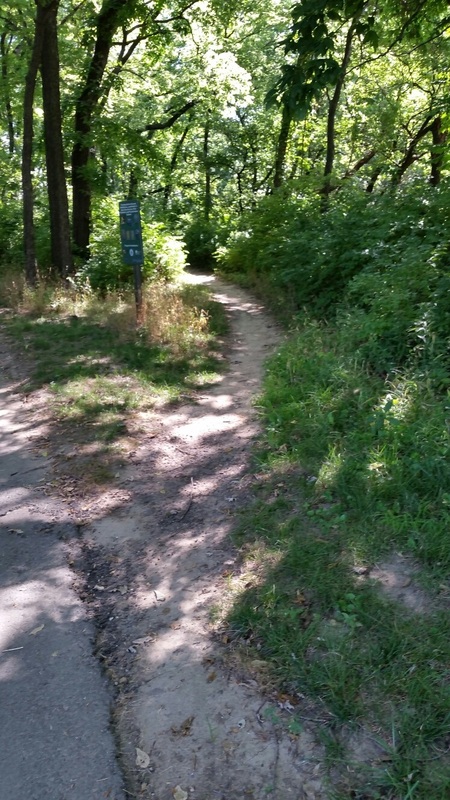 It may be a weed-infested trail leading into the woods off of a walking trail I’m on. What’s at the end? My imagination runs wild. Sometimes I hear part of an intriguing conversation between complete strangers, and I start wondering what’s going on. Are they plotting a heist or hiding something? At my dentist’s office there’s a series of numbers and letters written on the aluminum framework of the acoustic ceiling panels. While I get my teeth cleaned, I dream up stories about who might have written that code and what might be hidden above the panels. 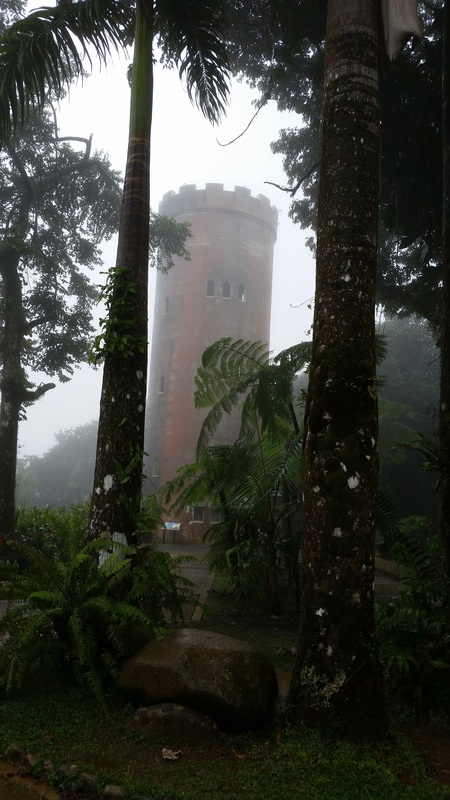 In Puerto Rico, I approached an old stone tower at the end of a jungle-lined path. Fog surrounded me, and everything appeared to be wrapped in ghostly ectoplasm. The color of the vines pushing their tendrils onto the sides of the tower appeared as slightly darker grey veining on the grey stonework. Inside the tower, I learned the origin and the purpose of that tower, and by the time I’d climbed to the top, the sun had pushed rays of gold through the cloud cover, exposed the green surroundings, and broke the spell. What I remember is the shiver in my imagination while I was engulfed in humid heat, which told me the tower was a place shrouded in mystery. Do you find mysteries in your daily life? What do you do with them? Do you file them away in your mind, in a picture file, in a notebook, or in a memo on your phone? We’d love to learn about your mysterious places or experiences. This entry was posted in My Writing and tagged Authors, COZY MYSTERY, Creativity, Mystery Writers, Writing. Bookmark the permalink. I often see pictures of people and immediately a circumstance, scene, or dialogue pops into my head. It’s kind-of an addiction–of the best kind! I need to train myself to write down all those ideas. I started using the Memo app on my cell phone. That helps.